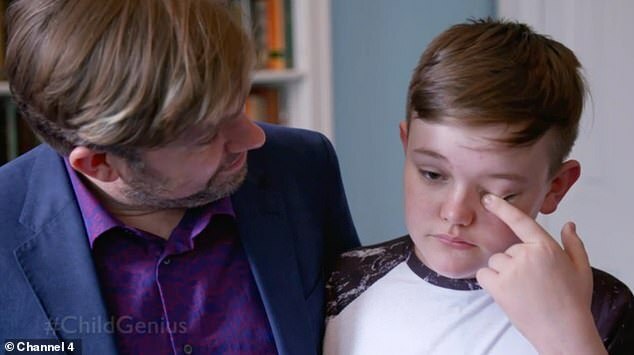 Viewers were left stunned by the memory skills of a Child Genius contestant during the third stage of the competition. 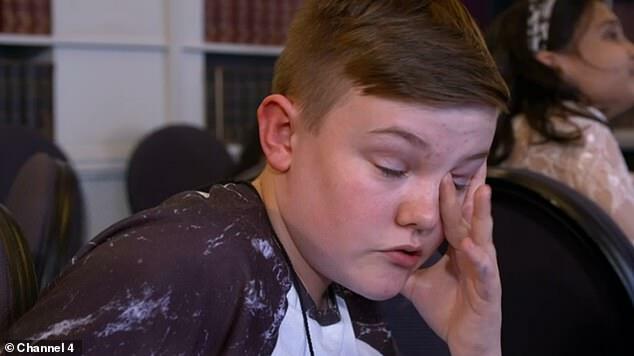 Twelve-year-old Ben, from Cornwall, memorised an incredible 57 cards that had been shuffled into a random order. 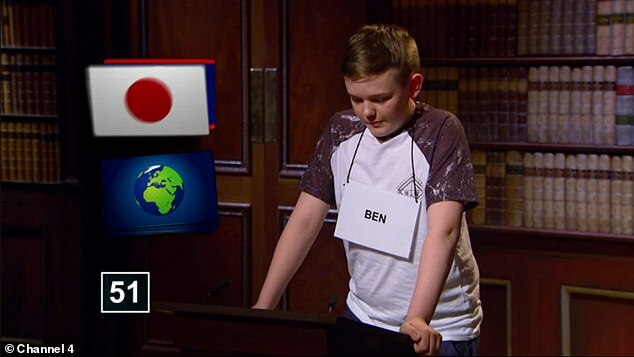 Ben, who is now 13, stormed ahead of his competitors during the gruelling memory task in which he had just one hour to recall as many cards as possible. 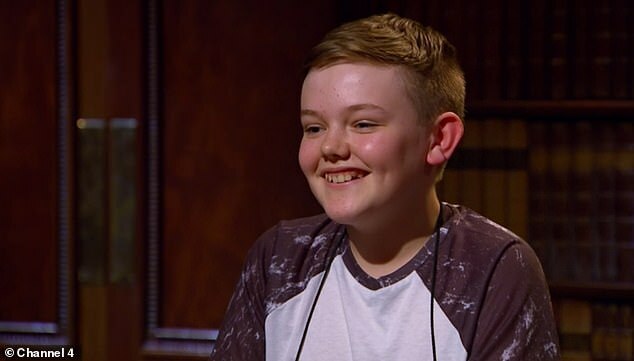 His stunning performance on the Channel 4 quiz show left viewers at home in awe of the youngster, declaring him their ‘new hero’. On day three of six, the 14 remaining competitors tackled geography, with questions in the first round covering 4.5 billion years of the planet’s history. In the afternoon, they took on a challenging memory recall round in which they were tasked with learning a sequence from a pack of 100 randomly shuffled cards. The youngsters were given just an hour to memorise the sequence of cards, each decorated with a different world flag. And while he did not quite manage the top score, he did finish some 28 points ahead of his closest rival. Earlier on in the day, the youngster’s parents, David and Jo, had watched on proudly as he secured the highest score in the geography round. 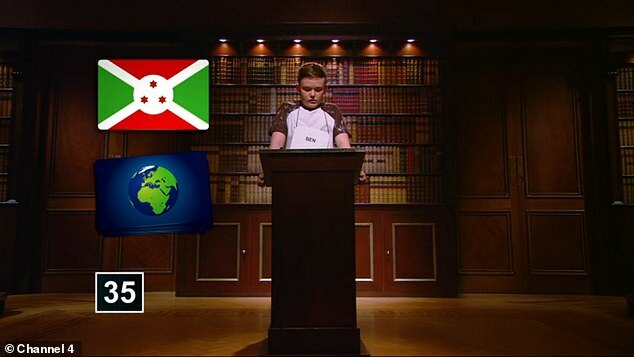 His winning performance secured him a spot in tomorrow night’s quarter-finals where he will go head-to-head with Nishi, who wowed viewers last night with her maths ability. Speaking after filming wrapped up, Ben told Pirate FM: ‘The other kids were great; we actually seemed to have a lot in common and we laughed a lot during the filming. ‘One episode was so funny; Richard Osman couldn’t pronounce the Latin names and they had to keep cutting the filming so that he could get it right. 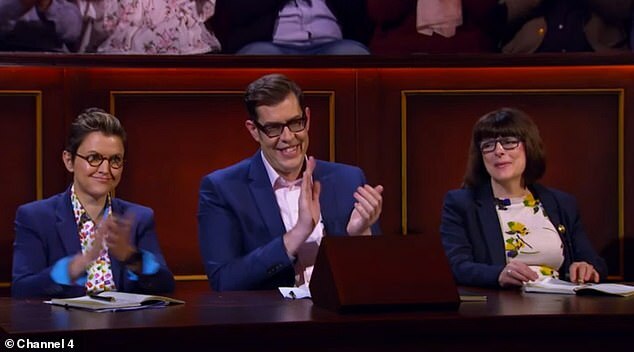 Quizmaster Richard Osman is once again putting a group of talented children through their paces in the contest to find Britain’s brightest 8-12 year old, with the winner set to be announced this weekend.